Holy Cow! I know this picture looks a little fake. The Plaster of Paris inside the container caught most of the flash and looks glowing white. 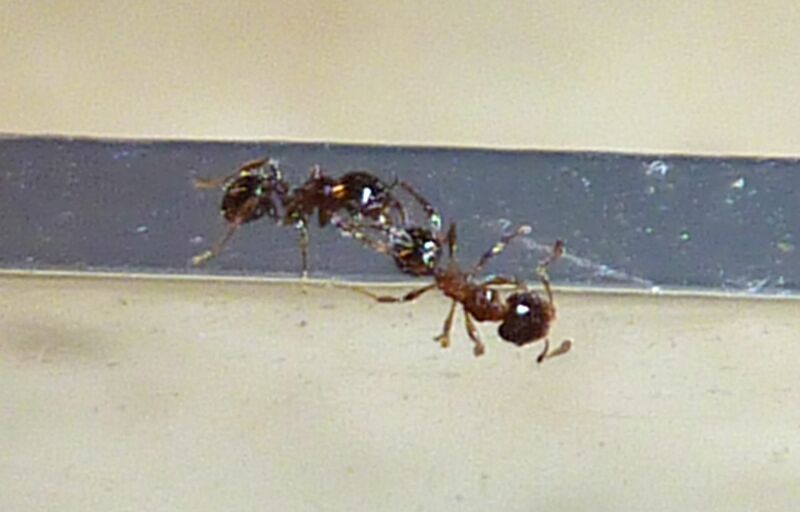 The rim of the container, which the ant is on measures 2mm wide. 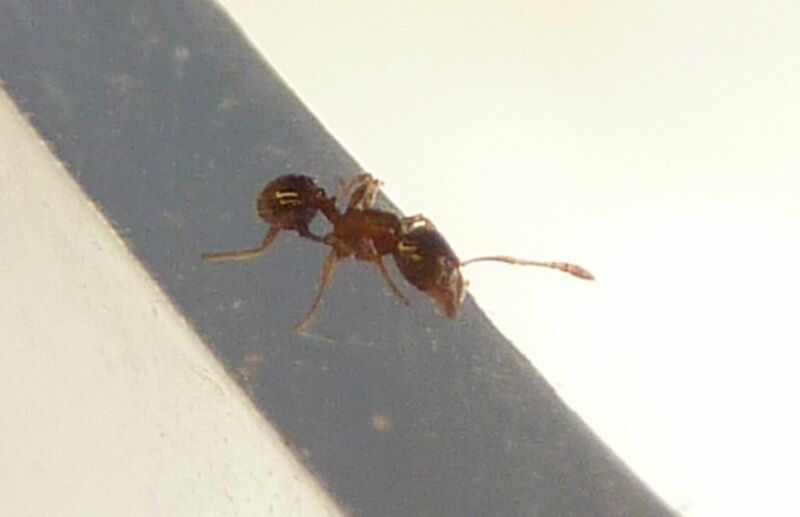 This is a worker to a very small ant species I have, which I think is Pheidole pilifera. Still not good enough magnification to properly identify the species but still a great example of the Panasonic Lumix can focus on. I'm still mad I can't do anything with video files but I love everything else this camera can do. In this picture the lighting is a little to harsh so it's not what a professional photographer should be using for excellent pictures. But it's great for the casual buyer. Here one worker leads the other by tandem running. That's where the lead ant move a little and waits for physical contact from the ant behind before moving on. In this way young ants learn to forage, where to look, and can even steak out new nest sites. The setup sits in a foraging dish so I'm not worried about that.